Goodreads: Marcy Hammer’s life has been turned upside down. 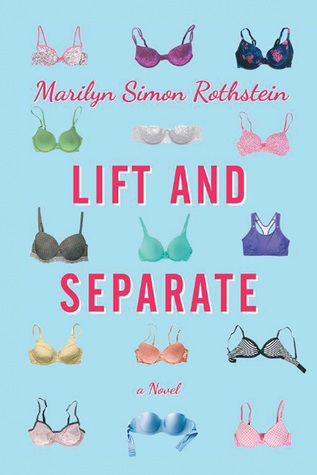 Her husband, the head of a global brassiere empire, didn’t think twice about leaving her after thirty-three years of marriage for a 32DD lingerie model. Now Harvey the Home-Wrecker is missing in action, but Marcy’s through thinking about what a cliché he is. What she needs now is a party-size bag of potato chips, a good support system, and a new dress. Kritters Thoughts: If ever there was a book to make a cheating husband make me lough out loud this was it! Marcy Hammer has been mostly happily married for 33 years and somewhat out of the blue her husband decides to leave the home citing stress and maybe a mistress! Let me first say I don't tend to read books with characters that are a generation before me - I just can't relate and usually can't connect with the character and the things they are experiencing, so I avoid. I chose to review this one because I was intrigued by the synopsis and of course the cover! I am so glad I did! I was laughing out loud and even interrupted my mom reading a few times to share the funny quips by the author - I loved her outlook and hope that I can look at life the way she does. She reminded me that even a stressful time in life you can find laughter. This is a great debut and I will anxiously await her next one! I'm glad you enjoyed this one even though it was not exactly your generation! It sounds like a real treat.